Religion and Culture in Germany (1400–1800). 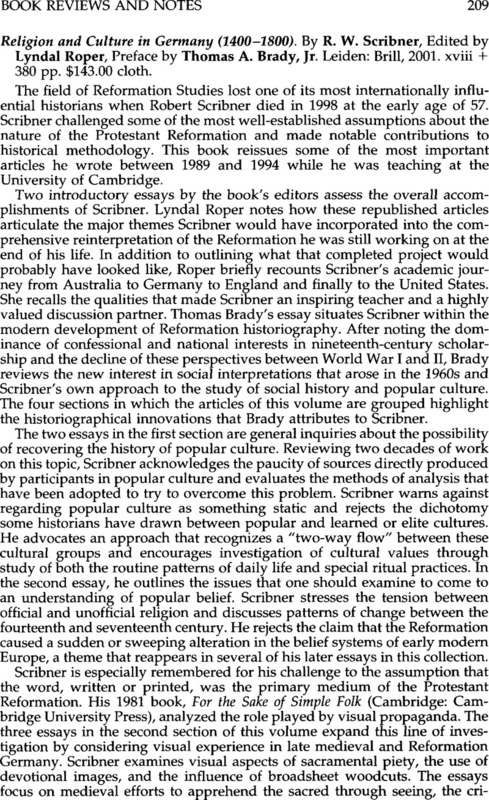 By R. W. Scribner, Edited by Lyndal Roper, Preface by Thomas A. Brady, Jr. Leiden: Brill, 2001. xviii + 380 pp. $143.00 cloth.